That Has a Nice Ring To It! The Most Dominant Dynasties in History. Dynasties. They draw the ire of everyone outside of the winning team’s fan base. They take luck, talent, and a bit more luck. But if you’re a player on the team or a fan, there’s nothing better than winning season after season. 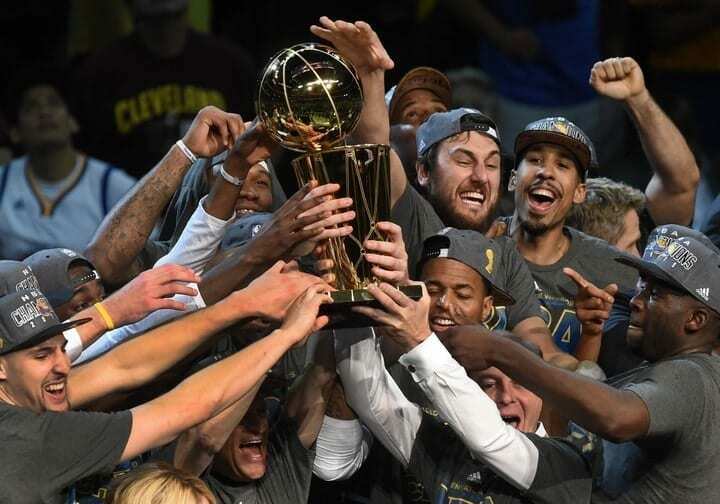 Here’s some of the best dynasties in sports history, and where Golden State landed will leave many current NBA fans shocked. Outside of Northern California (and really, that means the Oakland/San Francisco metropolitan area), the Golden State Warriors are the most lovable villains in recent memory. Some players are too likable to hate, such as Klay Thompson and Steph Curry. Others, like Draymond Green and Zaza Pachulia, are more obnoxious than a horde of mosquitoes on a hot summer day hovering around your precious BBQ. Essentially, they are a dynasty that was built from the ground up. Solid drafting (Green, Thompson, and Curry), solid upper management (signing Andre Iguodala and Kevin Durant), and hiring a coach with a winning pedigree who fit all of the pieces of the puzzle together (Steve Kerr). Despite the highly contentious signing of Durant (and later DeMarcus Cousins), the Warriors understand how to navigate the tough waters of the Western Conference and have blazed their own record-breaking path in the process. The result of this? 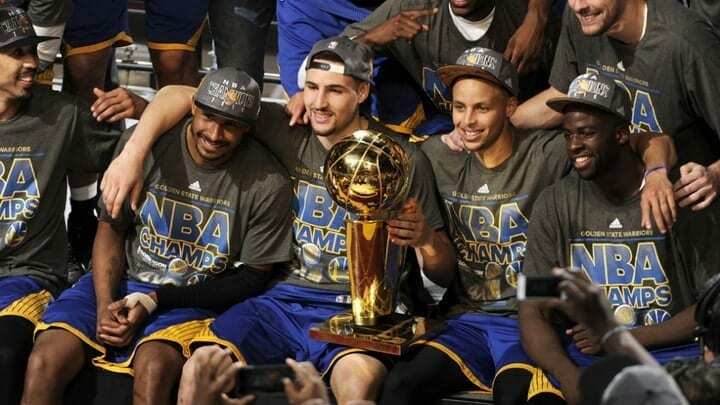 The Warriors have claimed three of the last four NBA titles and have done so in dominating fashion, both during the regular season and playoffs. They’ve redefined how basketball is played, incorporating a long-range barrage of lethal three pointers that can alter games in a matter of seconds. Never in NFL history has a dynasty been sustained as long as the New England Patriots. 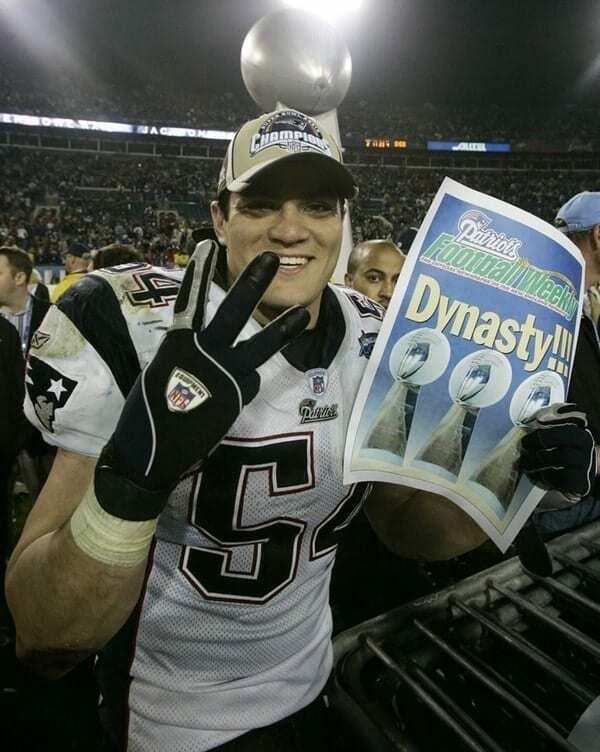 Since Super Bowl XXXVI in 2002, the Patriots’ first championship, the team has won an additional four Super Bowls, while appearing in eight in a span of 18 seasons. Despite the three crushing defeats, including losing in the Super Bowl during their quest for an undefeated season in 2007, the Pats have obliterated competition and should have the AFC East renamed after them. How have they been able to deliver such consistency and dominance? Robert Kraft, Bill Belichick, and Tom Brady. These three components of this well-oiled machine have given stability to a near-perfect system that allows for random players to come in and excel. With this system, the Pats have made stars from undrafted players, have helped many assistant coaches launch their own head coaching careers, and have exerted dominance over virtually all teams that get in their way. Obviously, the Pats have had their fare share of lucky moments, but what successful team doesn’t’? When the dynasty does eventually dissolve and Brady and Belichick retire, fans and players alike will marvel at how much the Patriots accomplished over a near two-decade run. How much they were able to weather the storm of injury and personnel change. How they overcame every team’s best effort, rule changes and scandals. Love them or hate them, it has been a remarkable run that, in all likelihood, will never be duplicated. 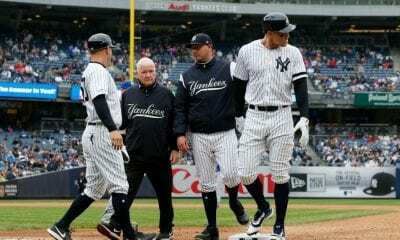 Twenty-seven World Series victories didn’t happen overnight and is the result of multiple Yankees dynasties. However, for the focus of this section, we’ll be ignoring the teams of the 1950s and ‘60s, where the competition was less fierce and winning was more of a formality than an achievement. During the late 1990s and into the early 2000s, the Yankees were the undisputed face of baseball. Their clean-cut look, Hall of Fame caliber rosters, confident swagger, and iconic owner and manager made those teams, win or lose, ubiquitous and universally hated outside of New York. 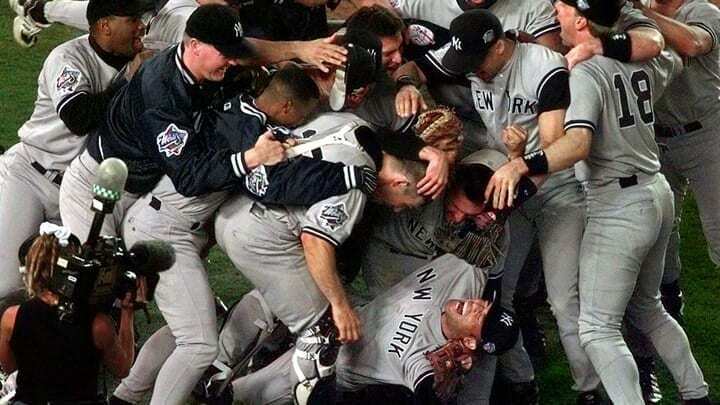 Led by a core of Derek Jeter, Mariano Rivera, Bernie Williams and Andy Pettitte, the Yankees won four World Series in five years, taking home baseball’s greatest prize in 1996, ’98, ’99, and ’00. 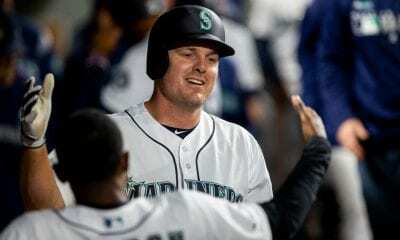 They also made it to the 2001 and 2003 World Series, losing in two of the more thrilling World Series in recent memory. 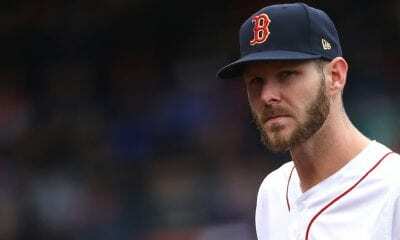 Their two World Series losses aside, the team made it to six World Series in eight years. They defined an era of baseball and became the most recent true dynasty — we’re not including San Francisco here. The disgust and interest they drew season after season spoke volumes about how successful and envied they were by most teams and fans. Michael Jordan. 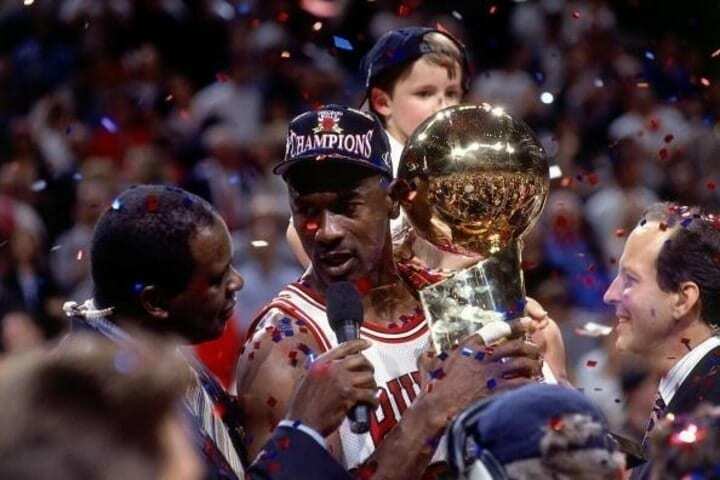 When summarizing the Chicago Bulls’ two separate three-peats in the 1990s, those two words are what it boils down to. One player. The single greatest basketball player of all time. Jordan — and his perfect Finals record – wasn’t able to achieve this mark alone, but he decidedly made the lives of those around him easier. Plug in a ferocious rebounder in Dennis Rodman. Find a wing man capable of picking up the scoring slack and willing to lock down anyone on defense in Scottie Pippen. Insert a few role players who can shoot the three in crunch time and play sound defense. Pair these parts with Jordan and a coaching genius in Phil Jackson, plus be the benefactor of a few clutch shots here and there, and the Bulls dynasty is born. Whatever the NBA could throw at those Bulls teams wasn’t enough. Karl Malone and John Stockton, two dominate Hall of Fame players? Nope. Gary Payton and Shawn Kemp? Nothing. Charles Barkley and Danny Ainge? No chance. Clyde Drexler? Sorry Portland, not happening. What about Magic Johnson and James Worthy? Again, no. The Bulls dynasty was a special part of NBA history that helped promote basketball globally. Thanks to Michael Jordan and his flashy shoes, Dennis Rodman and television-worthy personality, and one of the most impressive runs in sports, the Bulls shaped the future of the NBA and basketball as a whole. When Shaquille O’Neal and Kobe Bryant joined forces, they became a virtually unstoppable two-man wrecking crew that dominated the NBA. Their scoring ability from virtually anywhere on the floor, coupled with strong defense and rebounding, helped the Los Angeles Lakers return to their former glory days, capturing three consecutive titles from 2000-02. 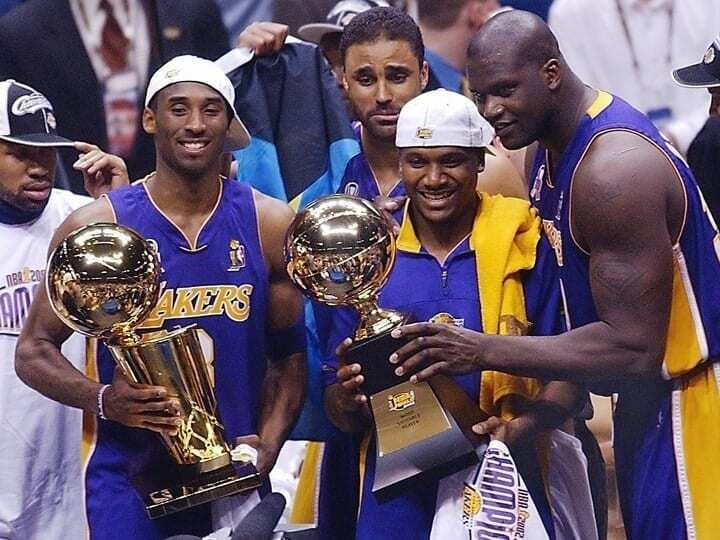 In those Finals, Bryant and O’Neal stole the show, but key role players such as Robert Horry, Derek Fisher, Glen Rice, and Rick Fox helped this juggernaut to three straight championships. The first Finals was a 4-2 victory over Indiana, the second 4-1 against the 76ers and the third and final series was a 4-0 sweep of the Nets. They kept getting better (or their competition got worse). However, the season following their third Finals appearance, the Lakers failed to reach the Finals. 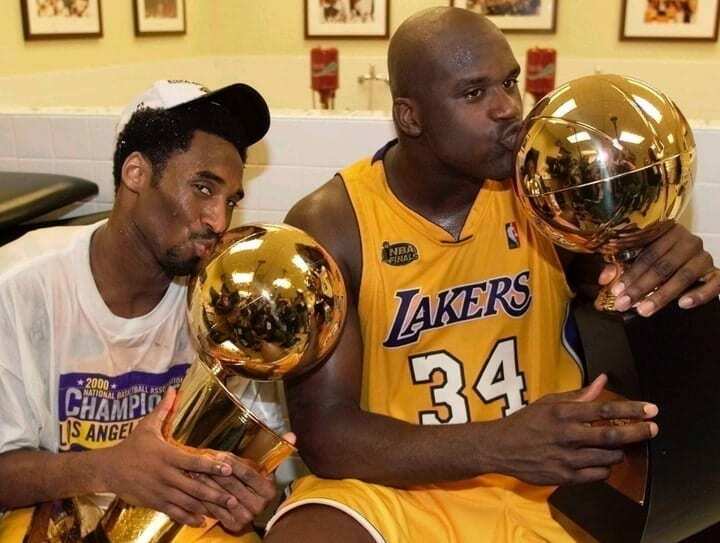 One year later – two seasons removed from their third championship – the Lakers and their newly formed super team, with new star additions Gary Payton and Karl Malone, once again found themselves in the Finals. For the fourth time in five seasons, the Lakers had a chance to win all the marbles. Yet, facing a stout defensive-minded Detroit team, the Lakers were stunned in the series 4 games to 1. That Finals loss aside, this team was about as dominant as they come. Four Finals appearances in five years. A three-peat and multiple Hall of Famers. Four straight Stanley Cup Finals victories. Five straight appearances. 1980. 1981. 1982. 1983. Then a loss in 1984 to Wayne Gretzky. Four-peats are one of the rarest feats in sports, and in a physical, grueling sport like hockey, they are next to impossible to accomplish. But Long Island’s favorite team managed to stay healthy, retain key players, and win, again and again and again and again. 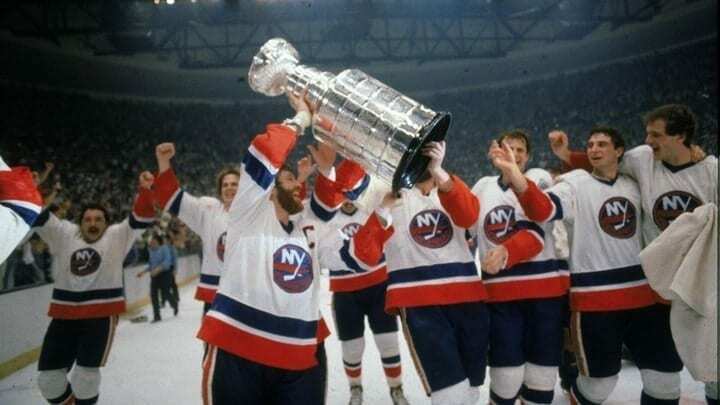 In their four consecutive Stanley Cup victories, the Islanders only lost a total of thee games. 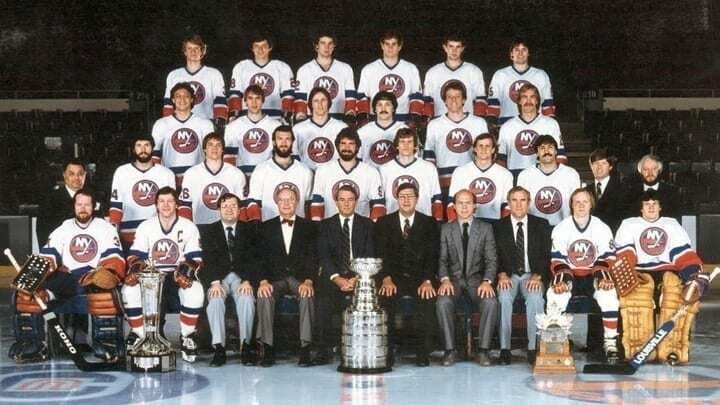 Led by a core roster of future Hall of Famers Mike Bossy, Clark Gillies, Denis Potvin, Billy Smith, Bill Torrey, Bryan Trottier and Head Coach Al Arbour, these Islanders were loaded with talent. This dynastic run not only included the Cup victories, but an unprecedented 19 straight playoff series victories, a feat that has remained unrivaled, unmatched, and unimaginable in today’s hockey landscape. What other paths did this legendary dynasty forge? They were the first NHL team to win the Cup with European players on the roster and had a few record-setting scoring defensemen. 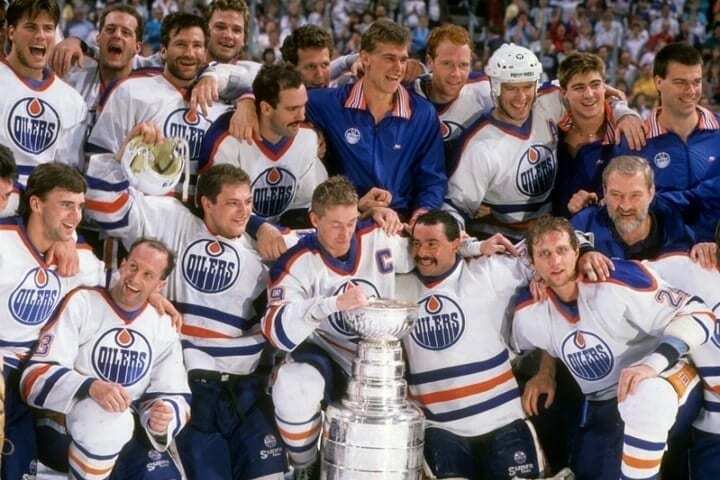 After the Islanders Dynasty ended, the Edmonton Oilers, led by Wayne Gretzky and Mark Messier, quickly stepped in to fill the void. Edmonton’s 1983 season ended in the Stanley Cup Finals with a four game sweep at the hands of the Islanders. But that loss shined a light on how hard it really is to win Lord Stanley’s Cup. Losing paved the way for winning. Following that Stanley Cup Finals defeat, the Oilers found themselves in a Cup rematch, once again battling it out against the Islanders. This time, they’d get the upper hand and win the series in five games. The next year, Edmonton would repeat as champions in another five-game series. 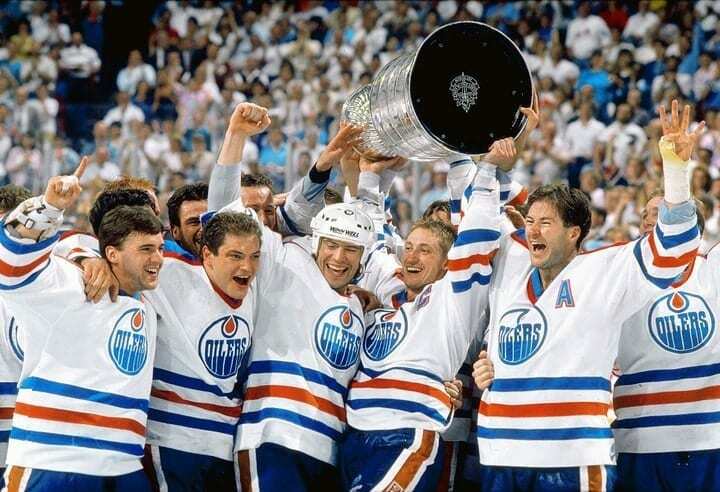 A three-peat wouldn’t be in the cards, but Edmonton would return to the Finals in 1987 after just a one-year hiatus. They’d win that year and repeat as champions in 1988. Again, they’d miss the chance at a three-peat by falling short of the Finals in 1989. However, the dynasty wasn’t over. The following year, Edmonton would advance to the Cup Finals and emerge victorious over Boston. Five Stanley Cup victories in seven years. At that point, the league belonged to Edmonton. Trading Wayne Gretzky in 1988 led to their untimely downfall, but that seven-year period will be fondly remembered by hockey fans, grateful for the opportunity to watch the greatest player in history win multiple championships. The most hated man in college football. Who does this dubious distinction belong to? Nick Saban, Head Coach at the University of Alabama. Since bailing on the Miami Dolphins in 2007 for the Crimson Tide, Saban and his football factory have been winning at an unprecedented rate. They churn out first-round picks and win big bowl games — many of which are National Championships. The start of their climb to glory began in 2009, when Alabama secured its first title under Saban. Then, two years later in 2011, ‘Bama was sitting on top yet again following their throttling of bitter SEC rival LSU. The next year, nothing would change, and Alabama, much to the dismay of non-Crimson Tide fans everywhere, would claim another title, this time at Notre Dame’s expense in the Orange Bowl. 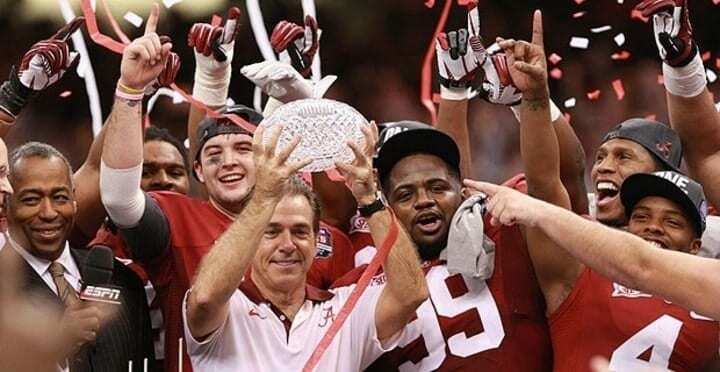 Thankfully for its haters, Alabama missed the chance at a national title in 2013 and 2014, but rose from the transient ashes to win it all again in 2015. In a thrilling game versus Clemson, the Tide squeaked by with a 45-40 victory. Following their slaying of the Tigers, Alabama and Clemson squared off again for the second straight title game. Clemson, however, emerged victorious. How did Saban respond to losing the National Championship? By going out and dominating the 2017 season and earning a spot, for the third straight year, in the title game. In an SEC battle for the ages, Georgia did all they could do take down the giant that is Alabama, but came up three points short following freshman quarterback Tua Tagovailoa’s last second heroics. To summarize their reign: five National Championships in nine years, 26 first-round draft picks and many others in the later rounds. 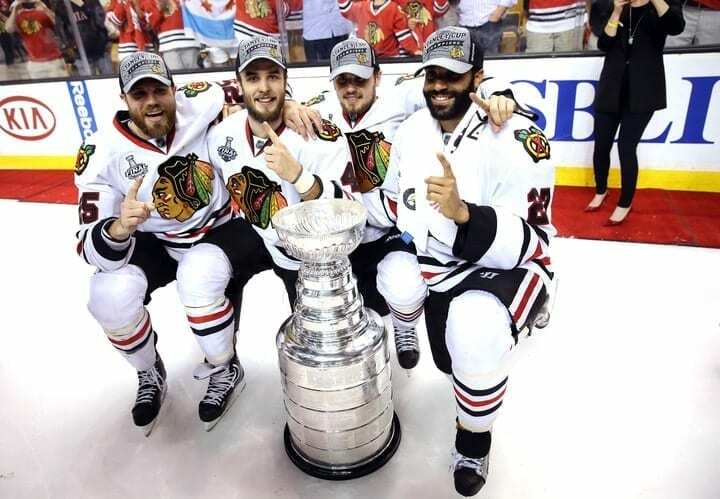 Three Cups in six years solidifies the Chicago Blackhawks’ place on this list. In 2010, the Blackhawks started their dynasty by taking down the Philadelphia Flyers in six games. This was the rise of Patrick Kane and Jonathan Toews. 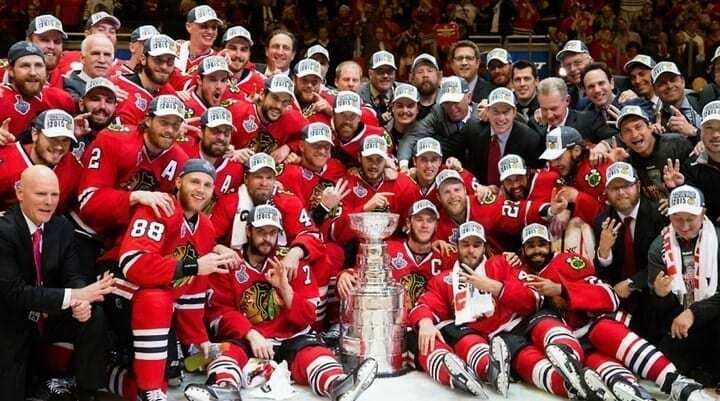 In 2013, the Blackhawks were once again hoisting the Cup, this time after beating the Boston Bruins in six games. Part of this victory has to be attributed to Tuuka Rask’s epic meltdown in net. It would be no different in 2015. In another six game series, the Blackhawks defeated the Tampa Bay Lightning to win their third cup. At the heart of this dynasty has been Head Coach Joe Queneville, scoring phenom Patrick Kane, team Captain Jonathan Toews, scorer Marian Hossa, and fearless leader Duncan Keith. The Pittsburgh Penguins came close to replacing the Blackhawks here after repeating as champions in 2016 and 2017, but their failure at three-peating, combined with their third Cup of the Crosby era coming back in ’09, pushed them just beyond the boundaries of dynasty territory. The competitive landscape that makes up the NBA today wasn’t around back when the Celtics had one of the most impressive dynasties in sports history. Back in the 1950s, the NBA had a fluctuating number of teams, hovering between eight and ten squads. 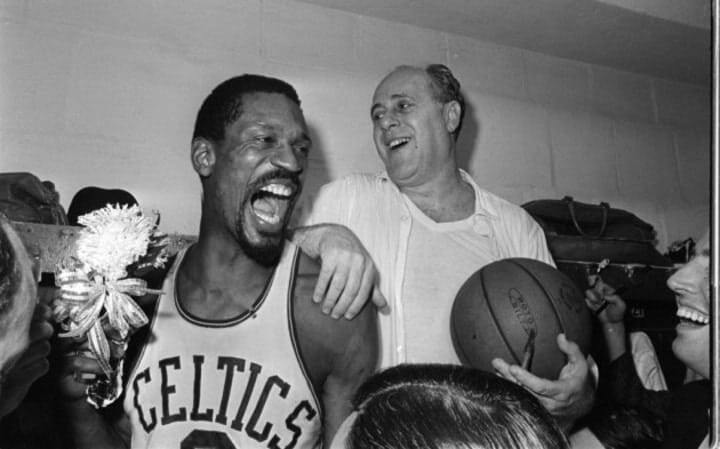 The ‘NBA in the ’60s, the second half of this Celtics dynasty, had between eight and 14 teams. Today, the league is marked by 30 teams that span the country. Clearly, the competition is much more difficult. That being said, what the Celtics did is downright impressive and unfathomable in today’s NBA and in sports at large. 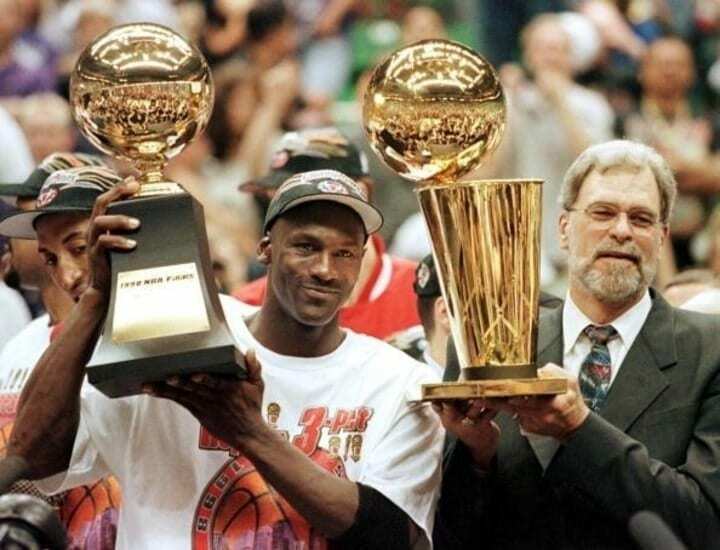 Eleven NBA Finals victories in 13 seasons. Eight of those titles came consecutively: 1957, 1959-66, 1968-69. With these Finals wins came some record-breaking numbers and historical implications. Bill Russell was the first black superstar in the league and first black head coach in NBA history. The Celtics became the first true dynasty of the Association, and, most importantly, head coach Red Auerbach set the trend of smoking victory cigars. From 1967-73, only one team ruled the college basketball landscape. 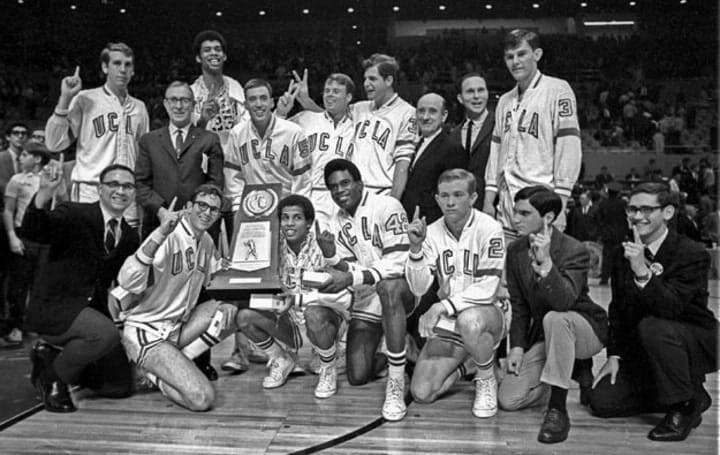 Only one team was crowned champion of college basketball, and that team was the UCLA Bruins, led by dapper head coach John Wooden. When it was all said and done, Wooden guided the Bruins to 10 championships in 12 seasons. His seven consecutive championship seasons is unmatched in either men’s or women’s college basketball. The next closest streak is four, set by the UConn women from 2013-16. During Wooden’s improbable run, his teams won an unprecedented and still unmatched (in the men’s game) 88 consecutive games. Led by multiple stars throughout the dynasty, none more legendary than Lew Alcindor (later Kareem Abdul-Jabbar) and Bill Walton, Wooden had the perfect storm of timing and culture on his side. Think about today’s college basketball culture and landscape for a second. It’s punctuated by one-and-dones, a bigger tournament field, and an ultra-competitive environment that spans the country. 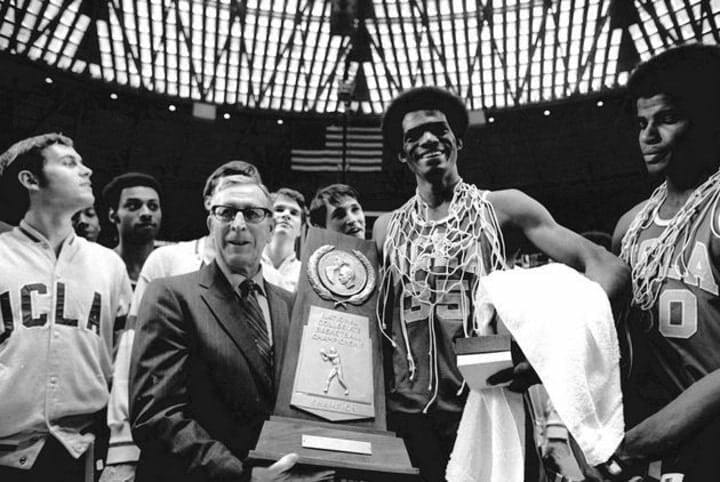 When Wooden was in charge, players stayed four years, the tournament was considerably smaller – 23 or 25 schools compared to 64 – and the much smaller talent pool usually elected to go to a few top schools like UCLA and Kentucky. Based off the major shifts in the college basketball paradigm, the likelihood that UCLA’s title streak – and sheer amount of titles within a 12 year span – will ever be replicated is next to zero. 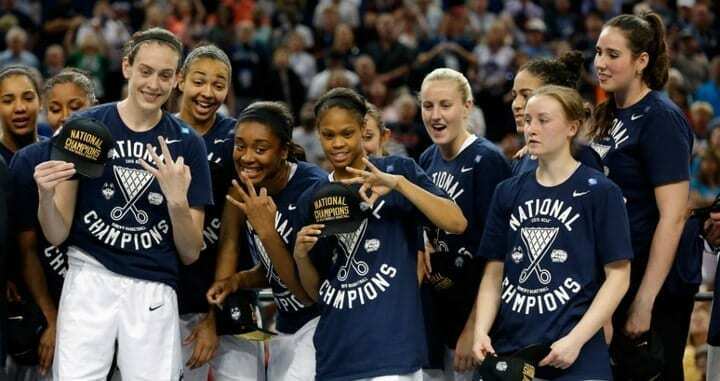 This list would be incomplete without including the UConn women’s basketball dynasty of the 21st century. They’ve won a record 11 championships since 2000, but none were more impressive than their four-peat from 2013-16. Their four consecutive championships weren’t a standalone feat, either. It came on the heels of back-to-back championships in 2009 and 2010. That’s six titles in eight years. Dominating their competition doesn’t even begin to describe how powerful this dynasty was. Their average margin of victory during the years in which they won a championship was 32 points. The games weren’t even close, and their unparalleled reign atop the throne is hardly understandable. Two of their four championships in that four-peat were marked by undefeated seasons. Not. One. Loss. Their 2009 and 10 seasons? Also undefeated. Invincible. Undeniable. And unstoppable. They won a record 90 consecutive games from 2008-10, then destroyed their own record by winning 111 in a row from 2013-16. Is UConn that good, or is the talent gap that drastic? Both. 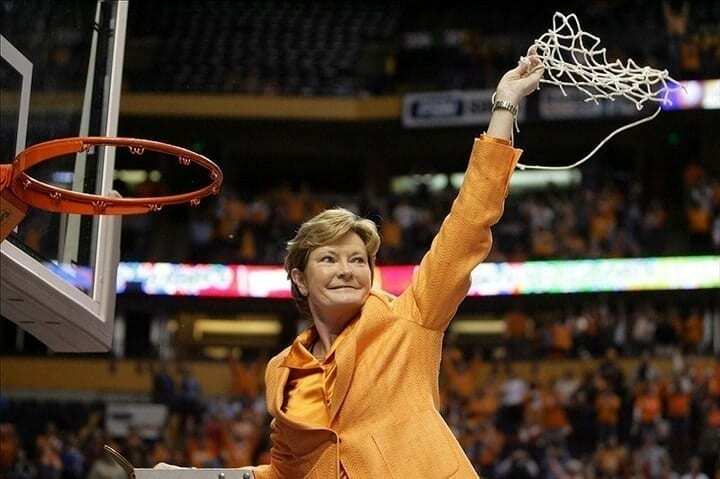 Aside from Geno Auriemma of UConn, University of Tennessee’s Pat Summitt is the most accomplished coach in women’s basketball history. With eight championships and over 1,000 wins – the most in women’s basketball history – Summitt and her Tennessee program became the blueprint for success in women’s basketball. 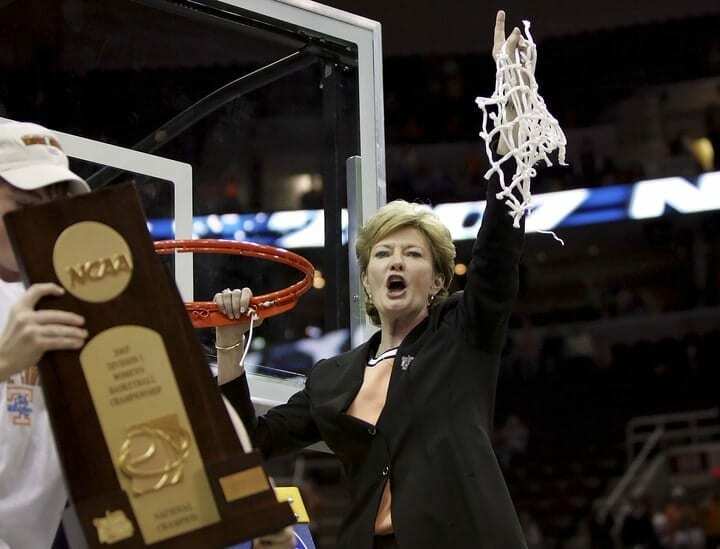 However, for the focus of this article, not all of Summitt’s eight titles will be covered; rather, the three consecutive championships from 1996-98 will highlight Tennessee’s reign atop women’s basketball. 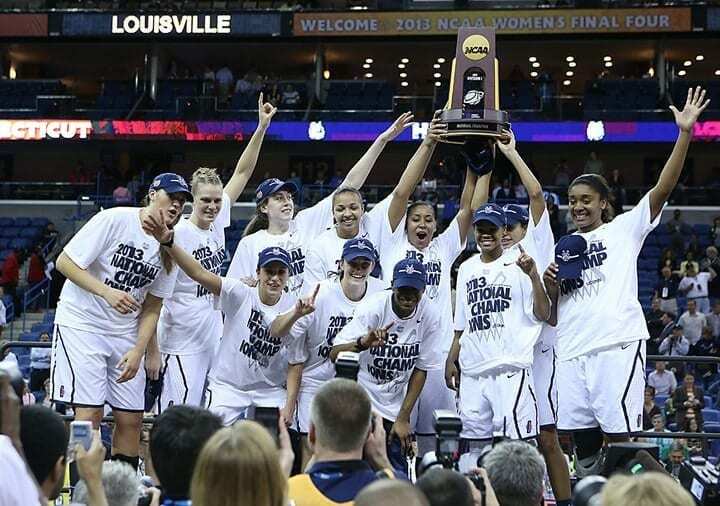 This three-peat would also be the first of its kind in women’s basketball history. Up until that point, only USC had won back-to-back titles. But not three in a row. Summitt and her Lady Volunteers set a new gold standard, redefining expectations and possibilities. The most impressive season of Tennessee’s three-peat was their third and final season. That team ran the tables on their way to a perfect 39-0 record, punctuated by their 18-point victory in the title game over Louisiana Tech. Since then, the Lady Vols have won two additional championships, coming in repeat fashion in 2007-08, the final two of Summitt’s career. However, that elusive three in a row has remained, well, elusive. Hockey four-peats, one of the most astounding feats on this list. As we’ve mentioned, hockey is one of the most grueling sports on earth. Fighting is not only sanctioned, it can be encouraged. Hitting people moving at dangerously high speeds into fixed barriers isn’t frowned upon, it’s an integral part of the game. The point is, this sport is tough, and its players are even tougher. When a football player breaks a leg, the play stops. When a hockey player breaks a leg, the shift is finished. The puck is cleared. Then the leg is tended to. 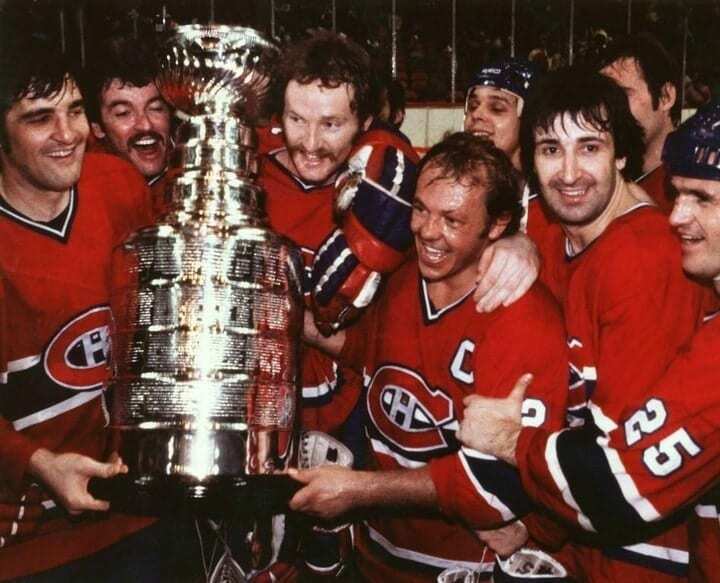 The Montreal Canadians won four straight Stanley Cup titles from 1976-79, one of only two franchises to win four straight titles. Coincidentally, the other franchise to win four straight was the New York Islanders, who started their streak the year Montreal’s ended. Arguably one of the greatest single hockey teams of all time, the 1976-77 Canadians set NHL records in wins and points, shattering records set the year before by the Canadians themselves. 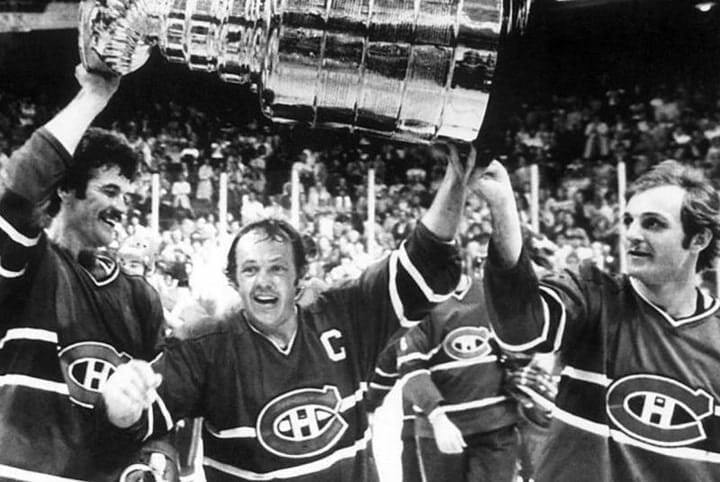 That team was also full of major award winners and nine future Hall of Famers, including Guy Lafleur and Ken Dryden. During their four-peat, the Canadians only lost three Stanley Cup Finals games and vanquished the powerful Bruins twice. Three Super Bowls in four years cement the Dallas Cowboys of the early-to-mid 1990s as one of the great dynasties in NFL history, alongside the Packers of the 1960, Steelers in the ’70s and 49ers in the ’80s. But unlike the others, the Cowboys became the first franchise to win three Super Bowls in a four-year span. 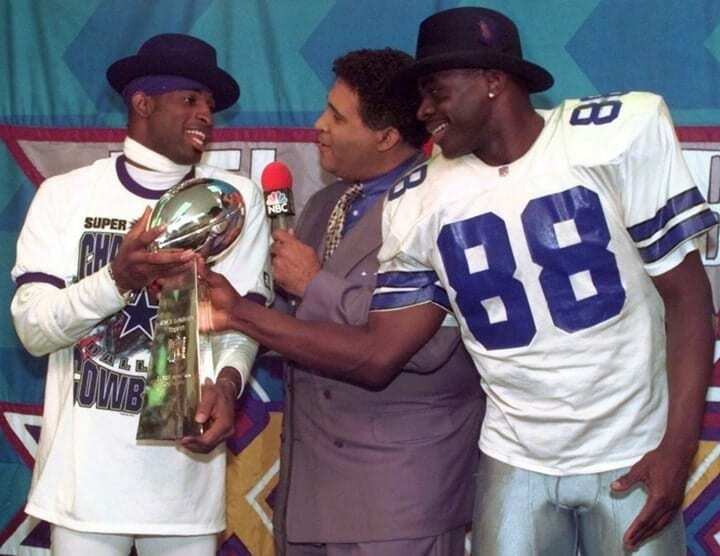 Led by “The Triplets,” Hall of Famers Michael Irvin, Emmitt Smith, Troy Aikman, and later Deion Sanders, this team was flashy and dominant. Off-field and on-field antics couldn’t slow down this juggernaut. Owner Jerry Jones paved his own way as a controversial, team- and player-first owner. Head coaches Jimmy Johnson and, for their third Super Bowl, Barry Switzer were arrogant, cocky, and broke the mold of the conservative NFL coach. In the first Super Bowl of the dynasty, Dallas throttled Buffalo by a final score of 52-17. Their second win was also a blowout, again at the Bills’ expense (30-13). Their third win – a 10-point victory over the Steelers — wasn’t a blowout but was decisive nonetheless. Since their dynasty came to an end, the Cowboys have yet to win another championship and the Patriots became the only other team to win three titles in four years.